fantastic customer service, humble and kind front desk employees (made you feel warm and welcomed) love the fact they offer a shuttle to nearby stores to bypass the time... Dover is closer to where I reside but I will go out of my way to come here for services based on the hospitality and great employees. Victor made my FIRST time car buying experience worth it! Vic definitely kept it real with me as soon as I walked in the door. I’m grateful that he worked with me, and just took the time out to assist me in getting into my new car! Knowing what I was bringing to the table and my circumstances he made sure I left the lot in a car that I actually wanted and would enjoy ... . I’ll recommend him to anybody !! Appreciate you Vic ? My experience with Nase was everything I went into Pohanka with a positive mindset and I was not leaving without a car. My old car had messed up a couple of days before my vacation started, I was so stressed it was terrible. The staff there where so understanding and patient with me through the process. He really worked his magic hands and I am in love with my new car ... !!!!!! Thank you again. If you're looking to get rid of your old car for a new one stop in to see Nase today. Pohanka Nissan of Salisbury is ready to introduce you to the Nissan brand. With our extensive inventory here in Salisbury, we can provide you with the Nissan vehicle that you have been looking for. We have a variety of options including compacts, hatchbacks, sedans, crossovers, SUVs, and trucks. We even have a variety of commercial Nissan vehicles available. Of course, we also have popular models like the Altima and the Rogue. 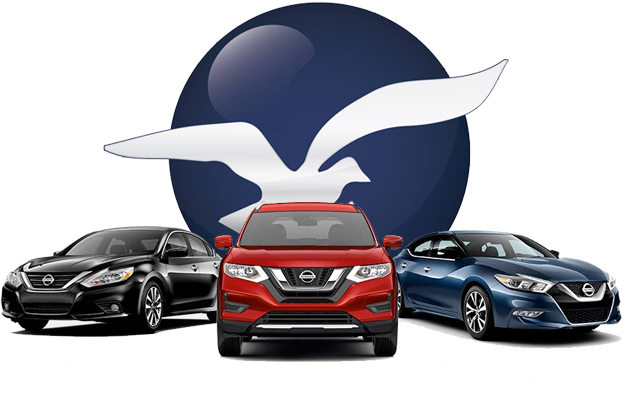 If there’s anything else you need from the Nissan brand, or even a used vehicle or Nissan service, you can count on your friends at Pohanka Nissan of Salisbury. Pohanka Nissan of Salisbury loves to service customers, and our organization has been serving customers proudly since 1919. Whether we are simply providing cars or improving lives through our Pohanka Pays It Forward program, Pohanka Nissan of Salisbury lives to serve, and we would love to serve you. Give us a chance, and you will soon understand our commitment to making things easy for our customers and to getting it right the first time. See for yourself here in Salisbury where we serve all the surrounding areas including the Delmarva Peninsula and all the communities within it.